This year, on World Environment Day, UN Environment is calling on people across the world to help to #BeatPlasticPollution. Every year, 8 million tons of plastic enter our oceans, threatening marine and human life and destroying our natural ecosystems. By end of year, the campaign estimates 250 tons of waste will have been collected, 25 tons of which will be PET. Coordinated cleanups are targeted for 80 beaches and across all marine reserves. Recognizing that reducing marine debris will require much more than collection, Mares Circulares is also focused on training and awareness for recycling, and promotion of the circular economy. One region making significant progress is sub-Saharan Africa. Over ten years ago, Coca-Cola South Africa, funded and co-created the PET Recycling Company (PETCO). PETCO is an industry body that promotes and regulates the recycling of PET material after initial use, and has partnered with recyclers to create new products made from disposed PET material. As a result of PETCO’s efforts, the country has seen an increase in recycling from single digits in 2000 to 65% in 2017 – close to European rates and rates that exceed United States recycling by more than 20%. In the United States, The Coca-Cola Company and The Coca-Cola Foundation, with help from Keep America Beautiful, The Recycling Partnership and The Closed Loop Fund, donated its 1 millionth recycling bin in May 2018. Since 2007, The Coca-Cola Foundation has supported an annual Keep America Beautiful grant program, which has donated public space recycling bins to more than 1,000 communities across the United States. The company and The Coca-Cola Foundation have also awarded grants to The Closed Loop Fund and The Recycling Partnership to help expand curbside recycling and provide recycling education to residents in more than 500 communities. These combined efforts have resulted in more than 730 million pounds of recyclables diverted from landfills. 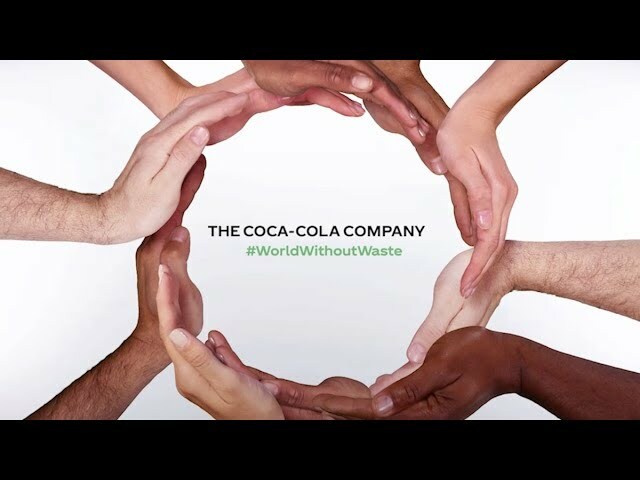 At Coca-Cola, we believe World Environment Day is about the power of individuals to be a part of global conversations and solutions for our planet. We believe actions should inspire others to generate solutions that leave the world better for generations to come – and only through collective actions—big and small—will we truly create a World Without Waste.